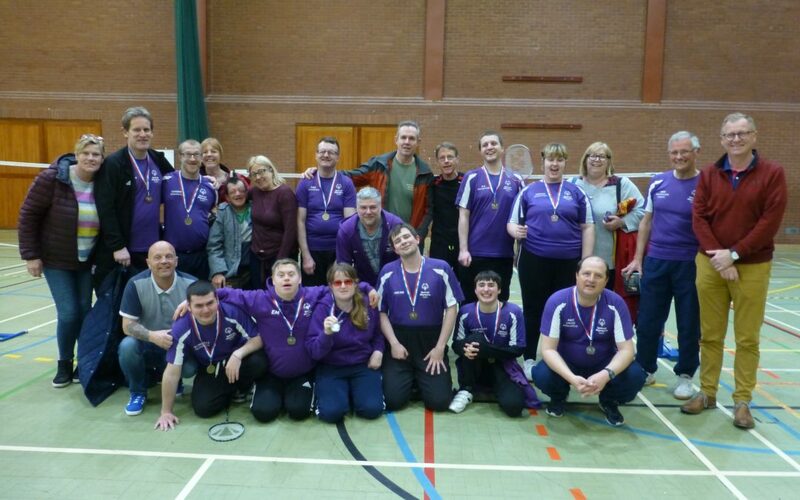 The Suffolk team, consisting of 12 local players, played with, and competed against, players from 10 other Special Olympics clubs from across the country from as far afield as Birmingham, Sutton Coldfield, Exeter, Wigan, Worcester and Shropshire. The Suffolk medal tally included 4 Gold, 3 Silver and 2 Bronze. “Our team performed brilliantly”, said Mike McCarthy, Coach with Special Olympics Suffolk and ActivLives. “We are very proud of our players who all played up to, and in many cases beyond, their rankings. In addition to being very competitive, our players show a great attitude of support for each other and sportsmanship towards their opponents. They really are a privilege to work with”. Special Olympics is sport for athletes with learning disabilities, and is relatively new to Suffolk, having only been established in our county as recently as 2014. In addition to badminton, Special Olympics Suffolk also competes in athletics and gymnastics and is planning to add boccia and football to the list before the end of this year.